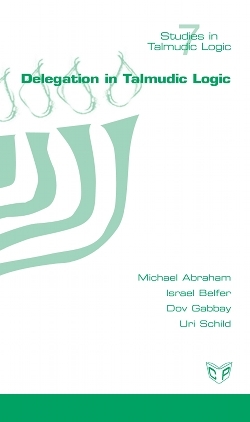 This book studies the Talmudic approach to Delegation. We develop logical models for the basic Talmudic views of delegation. The Talmudic approaches to the relationships between the Principal and his Agent/Delegate are fundamentally very logical, and deal with questions like chains of delegations, transfer of power, cancellations, death, irresponsible behaviour, change of the terms of delegation, and much more. We highlight the differences between the Talmudic approach and the view of delegation in modern legal systems.